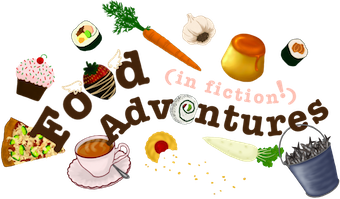 Book Adventures: 2012 Book Blogger's Cookbook Blog Tour! 2012 Book Blogger's Cookbook Blog Tour! 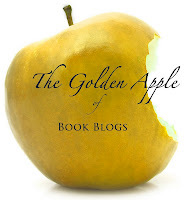 Welcome to my stop on the 2012 Book Blogger's Cookbook Blog Tour! For the other stops, please click the banner above. You, dear readers, know how much I love food and books (hence the many "Yummy Monday" posts) so when I was given the opportunity to help promote this eBook, I jumped on it. Two of my reviews are even in the book! (Variant by Robison Wells and Janitors by Tyler Whitesides.) Wee! I'm in a book and it's not from my elementary school years! The cookbook is filled with yumminess either directly from or inspired by many YA books with a few grown-up books thrown in. Many of the recipes are inspired by symbolism in the books such as the "Trapped in a Bubble Bobo Drink" for Matched and the "Hidden Ham and Cheese" for Variant. Also something that I personally think is fun, is that several of the authors are local and I know them! The Book Blogger's Cookbook is great to use for book club get-togethers, and meals shared with friends/fellow book lovers. Because, you know, food is best when it's shared. But by no means does that mean you can't make fun food for just yourself to enjoy while reading a great book. Whether you're a food lover, an avid reader or a book blogger, there’s something for you in The 2012 Book Blogger’s Cookbook. 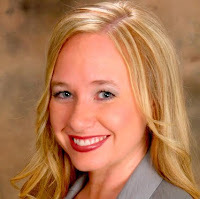 Christy was kind enough to answer a few questions for me which I've posted below. 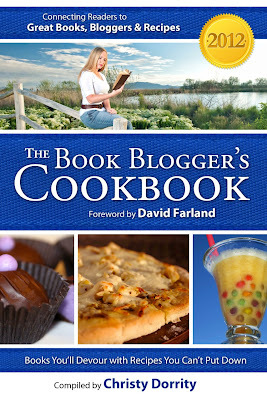 What was the process of creating the Book Bloggers Cookbook? How did it start and how did you pull it all together? When I first started blogging, I didn't think about writing a cookbook at all. 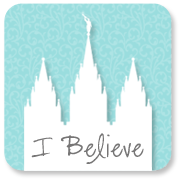 I love to read and I love to cook and I wanted my book review blog to reflect that. I decided to pair each book review with a companion recipe. At the end of my first year of blogging about books, I decided to publish a little pdf file of the recipes for my readers. About the same time, there was a lot of buzz about self-publishing. I am a writer, and the idea of self-publishing is intriguing. I thought it might be fun to publish the recipes as an ebook and figure out what it's like to self-publish. Do you remember the first book inspired food you ever made? When I was eleven years old my mother introduced me to Anne of Green Gables. I loved it so much and when the movie was on PBS we taped it and then we had a tea party with my aunt and watched the movie. It was so much fun to celebrate a story with food! The very first time that I hosted the meme "Tasty Tuesday" on my blog was a recipe for "Winging it Divinity" to match the book Wings by Aprilynne Pike. What is your favorite or most memorable story with food? I have many. But there is a chidren's picture book called The Mouse, the Strawberry, and the Big Hungry Bear by Audrey Wood that I adore. Just saying the words feels like you are chewing the strawberry in the book. I would pair it with a grilled ham and cheese topped with strawberry jam! Every person who comments on one of the blogs during the tour (May 7-18) will be entered to win a grand prize: A copy of every book featured in The 2012 Book Blogger's Cookbook (22 in all, over $200 value). Please visit the contest description page and tour schedule here. Thanks for having the cookbook on your site today Diana! That is so awesome!!! Christy and those other bloggers are geniuses! I am not creative enough with food to come up with a recipe for a food in a book. Thanks for the comment! Aren't book and food combos so great? My post is up for May 17...please stop by if you like. Great book, great giveaway, thanks!